Motocross racing returns to Raceway Park this weekend July 15 & 16. 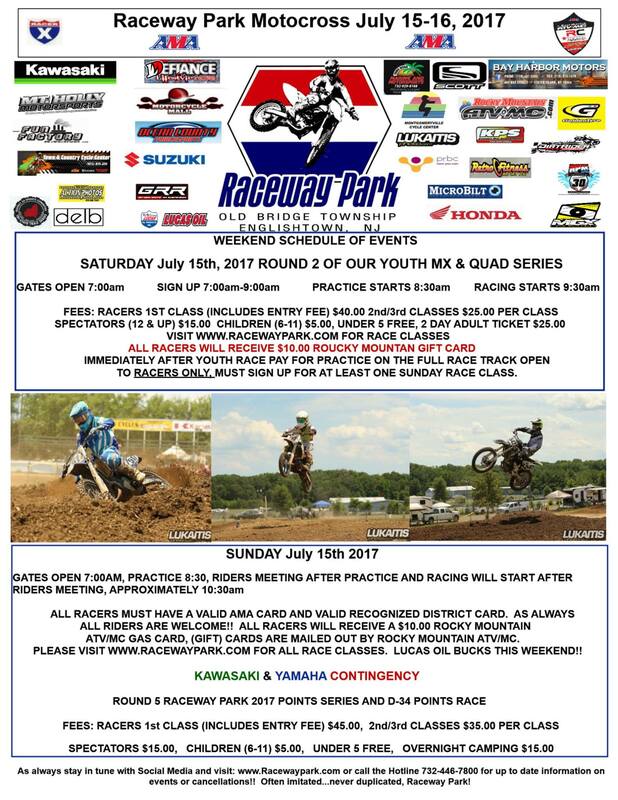 Saturday is Round 2 of the Youth MX & Quad series while Sunday is Round 5 of the 2017 Raceway Park Points Series. Sunday’s racing is also a District 34 points race and features contingency from both Kawasaki and Yamaha.